Most people will be glad to see the back of 2016. It was a year of shock elections, record-breaking global temperatures, devastating terrorist attacks, ongoing civil wars and high-profile celebrity deaths. But don’t let the negative headlines fool you: it wasn’t all bad news. We asked six experts in different areas to share with us their defining moments of 2016, with a particular focus on events that maybe didn’t get as much coverage as they should have. As you’ll see, this past year has given us plenty of cause for celebration. The declaration of the Ross Sea Marine Protected Area (MPA) in Antarctica is not only a defining moment of 2016, but a monumental moment in the history of conservation. Twenty-four nations and the EU came together to create the biggest protected area in history (on land or in the sea). To put it in perspective, it’s the size of the UK, France, Germany and Italy combined. Its creation is a beacon of hope in a time of increased geopolitical tension. It shows that the Polar Regions continue to be a place for cooperation and bridge-building. 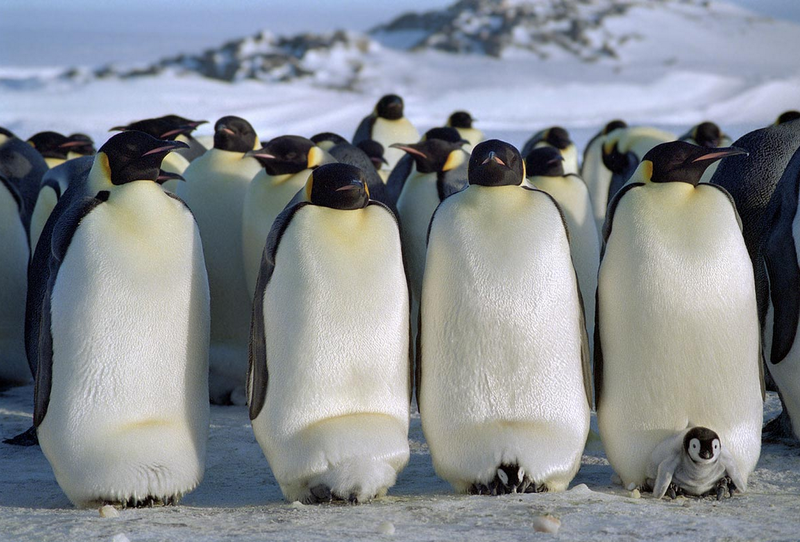 The MPA protects many iconic species, including Emperor and Adélie penguins, humpback whales and Antarctic toothfish from the type of rampant overfishing that has decimated many parts of our oceans. What makes it so significant is that it is first large MPA in the high seas. It sets a precedent for many more in other parts of the world. Lewis Pugh is a United Nations Patron of the Oceans and a World Economic Forum Young Global Leader. Many factors are being blamed for the election of Donald Trump. There was a similar outcry months earlier when Britain voted to remove itself from the European Union. A common theory involves a failure of the media to understand why these events happened – a failure to do its job. But journalism done well is more important than ever during what appears to be a global shift towards populist authoritarianism, a decline in political transparency and accountability. In April 2016, more than 100 media outlets from around the world abandoned competition to publish the largest investigation in journalism history: The Panama Papers. The result was a global storm of political and grassroots reaction. The investigation uncovered the secrets of more than 100 politicians in more than 50 countries – including 12 current or former world leaders. Large protests were seen on the streets of Britain, Iceland, Malta and Pakistan. Authorities in 75 countries launched investigations. High-profile figures – including Iceland’s prime minister – were forced to resign. We know the journalism industry needs to adapt to a changing world, but 2016 was proof of the powerful role the Fourth Estate still plays. Gerard Ryle is the director of the International Consortium of Investigative Journalists. Once again in 2016, extremists across the world attacked women’s educational, social and professional opportunities, rolling back the successes of feminist campaigning. All too often, these women are painted as victims – or in some cases they are seen as potential perpetrators of violence, as we saw this year with the burkini ban and the furore that surrounded it . But if there’s anything 2016 taught us, it’s that women’s most valuable role may be in challenging and preventing extremism at the community level. Women are often more engaged within their communities than men, and have strong networks with other members of the community. For that reason, they’re in the best position to organize and challenge the development of extremism and to identify and counter the factors that cause it in the first place. That’s why my stand-out good news story of the year was when the Women’s Alliance for Security Leadership , led by peace activist Sanam Naraghi, launched the Global Solutions Exchange at the United Nations General Assembly in September. These networks of women are already working against radicalization. With the launch of this platform, they might finally get the support they need. Deeyah Khan is an award-winning film director and a World Economic Forum Young Global Leader. In 2016, the private sector continued to redefine its role in generating positive social impact. For some time now, it has no longer been enough to simply publish a glossy corporate social responsibility report or make adjacent philanthropic grants. Customers, shareholders and employees alike expect that leading companies will not only adopt their own unique mission, vision and values, but live them – inside and out. Over the past year, we have seen more and more corporations step forward to make a difference through values-driven leadership. When our own value of inclusion was put to the test, PayPal made the decision to withdraw plans to expand into North Carolina following the state’s passage of discriminatory legislation against the LGBT community. In other instances, we saw companies such as Salesforce, Target, Starbucks and AT&T take a stand for equality and validate their values through essential public action. Collectively, we have the opportunity and obligation to make a positive, lasting impact for the constituencies we serve and for the communities – and in some cases cities and nations – where we live, work and do business. 2016 highlighted that corporations can inspire change by placing social purpose at the core of our business agendas. Franz Paasche is the SVP of Corporate Affairs at PayPal, an Industry Partner of the World Economic Forum. For me, the defining moment of 2016 was also one of the least reported pieces of news: the release of the latest AGRA report that confirmed the steady revival of African agriculture. If sustained, the emerging agricultural revolution will play a key role in the economic transformation of the continent. Why is this such a big deal – my “defining” moment of 2016? Because, aside from helping Africa to feed itself, an agricultural revolution will create jobs, lift people out of poverty and help diffuse new technologies into the wider economy. These changes could happen far sooner than anyone would have predicted. Equally important is the role that African governments have played since the turn of the century in focusing on the strategic role of agriculture. Given that just five years ago, parts of the continent were in the grips of the worst food crisis in history , this progress is nothing short of remarkable. Calestous Juma is a professor of the practice of international development at Harvard University. For me, there was no one defining moment in 2016 but a collection of them throughout the year, when across communities, countries and continents we demonstrated tolerance, inclusivity and diversity. Those moments stand in contrast with the divisive ones that we also witnessed during the year, but I think that they defined it equally. And those positive moments defined us. We were obviously at our best when our countries opened their borders, our communities, institutions and businesses found strength in diversity, and each of us as individuals brought others into the conversation. 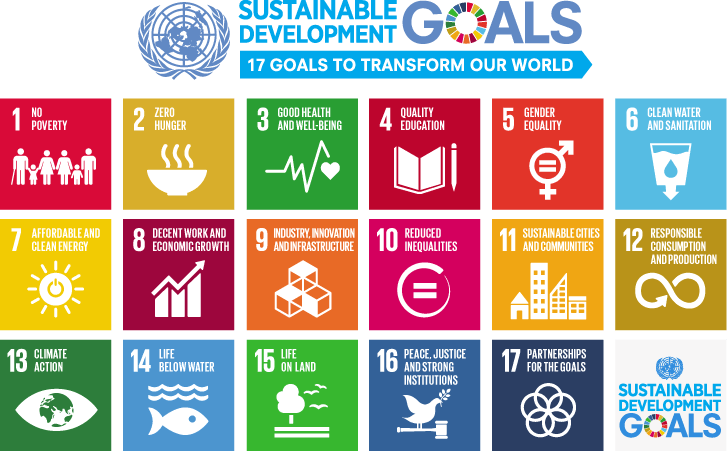 An example of this was the new Sustainable Development Goals, which came into effect in early 2016. Together, the SDGs promote our shared values of tolerance, inclusivity and diversity through goals 16 (peace, justice and strong institutions), 10 (reduced inequalities) and 5 (gender equality), among others, and set a new global agenda. Renée Maria Tremblay was recently a visiting professional at the International Criminal Court and is a World Economic Forum Young Global Leader.